Downtown Brickell has also drawn financial entities as it has become a renowned place for international banking. Brickell is also home to many of the beautiful, high-rise office spaces in Florida. About 67,000 employees work in the finance industry in Miami. Renowned banks already have offices located in Brickell. Some of these banks include Wachovia, Ocean Bank, Bank of America, Citigroup, Bank United and Regions Bank. Lawyers will also find that Miami is a great place to open a practice. There are currently about 146,000 professionals in the city. Many attorneys open practices that deliver immigration, business, banking and corporate advising services. Personal injury and family law attorneys also continue to be popular in the area. Education also makes up a powerful industry in Miami. Over 129,000 employees work within the education industry. Several major colleges are located in Miami. The University of Miami is responsible for employing over 9,800 individuals. The health industry is also thriving in Miami. Over 10,800 employees currently work for Baptist Health South Florida. The Mount Sinai Children’s Hospital also employs over 3,200 employees, while the Miami Children’s Hospital employs over 2,600 workers. Miami also draws major corporations that wish to open Latin American regional headquarters. United Parcel Services, FedEx, Discovery Networks, Hewett Packard and IBM have opened their own Latin American regional headquarters in the city. Miami is an excellent place to open a new office. A variety of office space types are available for business-minded individuals or corporations. Corporations may find that opening an office in one of the high-rise buildings suits their needs. Today, one can find a Class A suite in Brickell for about $43 a square foot. Individuals may seek to share office space with one another. It is not uncommon for professionals to band together and sign a lease for a building that contains over 2,500 square feet. The demand for office space in Miami continues to increase. As the demand increases, rental rates will only continue to rise. Statistics indicate that 92 percent of all office space available in Miami is currently leased. The typical lease can range in cost anywhere from $500/month to thousands of dollars a month. Because vacancies are quickly falling, it is important for professionals to secure the space that they need in Miami. The average rental rates will continue to climb as businesses seek to expand in Florida. 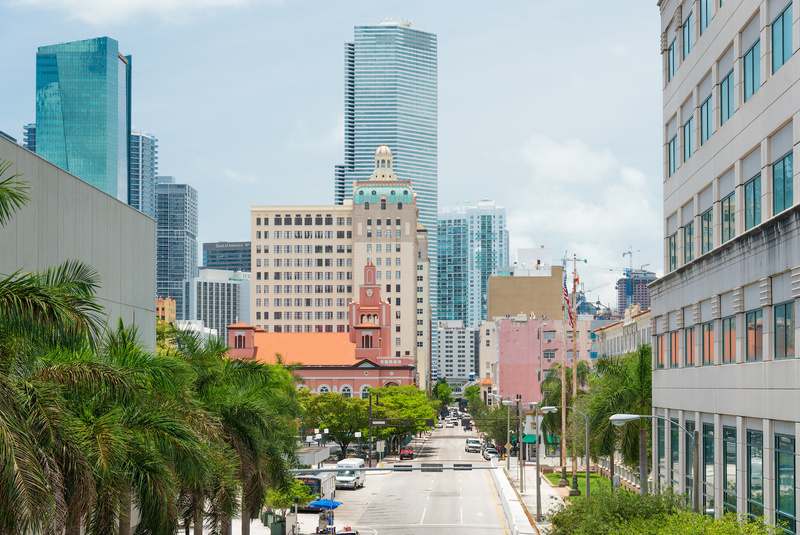 If one is considering opening his or her own business in Miami, the time may be just right. The opportunities for success in this city are truly endless. For further information about office space in Miami available for immediate rental click here. This entry was posted on Wednesday, October 8th, 2014 at 1:28 pm	and is filed under Business Advice, Business Spotlights, Business Start Ups. You can follow any responses to this entry through the RSS 2.0 feed. You can leave a response, or trackback from your own site.